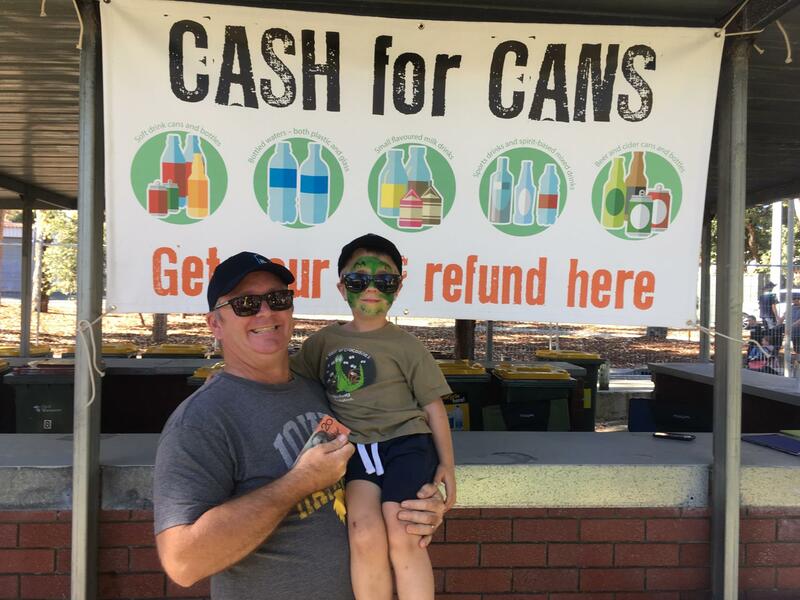 WALGA has received funding from the State Government to implement the Container Deposit Scheme (CDS) at a series of events around Western Australia during 2019/20. To provide opportunities for Local Government and local communities to see the benefits of the CDS. 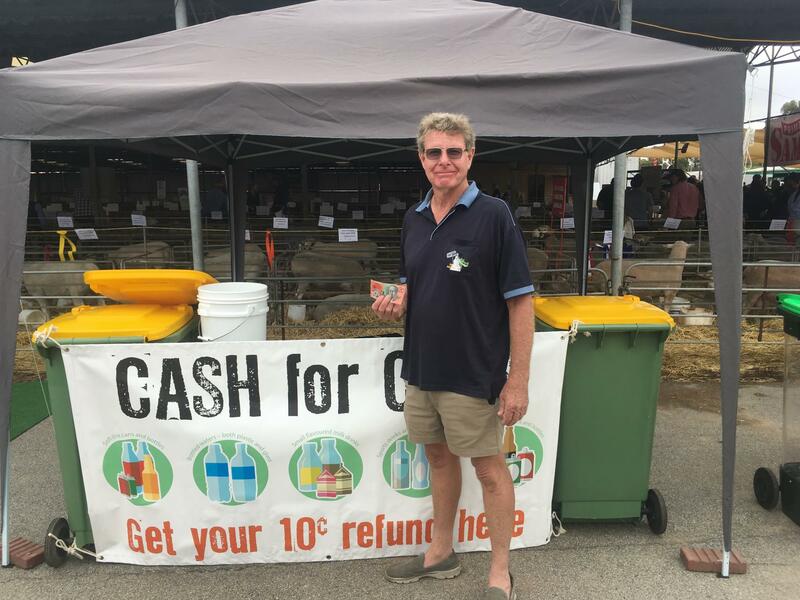 With the support of the fantastic team at the Wanneroo Show, City of Wanneroo, Mindarie Regional Council and the Best Recycler of the Day (pictured), WALGA held the inaugural 'Cash for Cans' stall at the Wanneroo Show in 2018. The City of Albany loves to recycle. Residents brought back over 12,000 containers to the Middleton Beach Festival. Our first customers brought in 116 containers and it didn’t slow down from there! 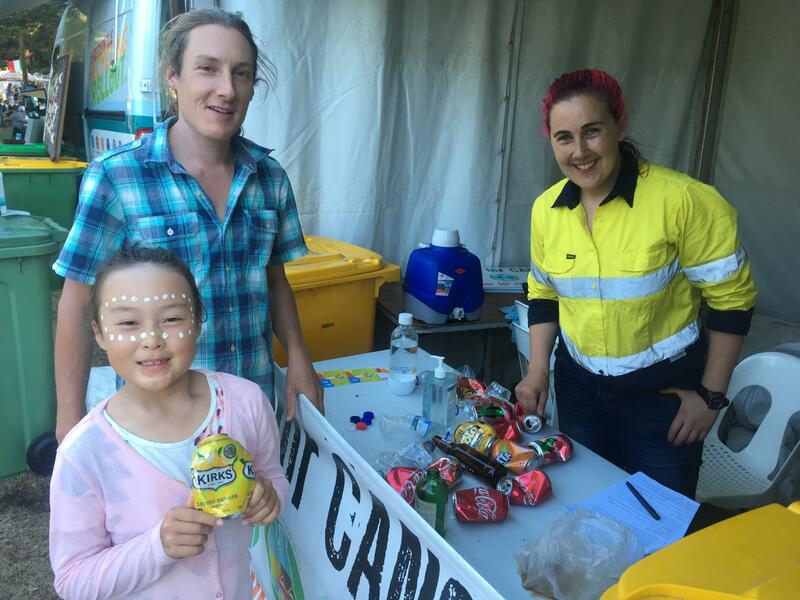 The Shire of Denmark put on an amazing Australia Day Breakfast and the kids cashed in, with nearly 3000 containers being returned! Cr Ceinwen Gearon, Shire President, and two proud Denmark residents with their earnings (pictured). The City of Fremantle once again put on a fantastic event. 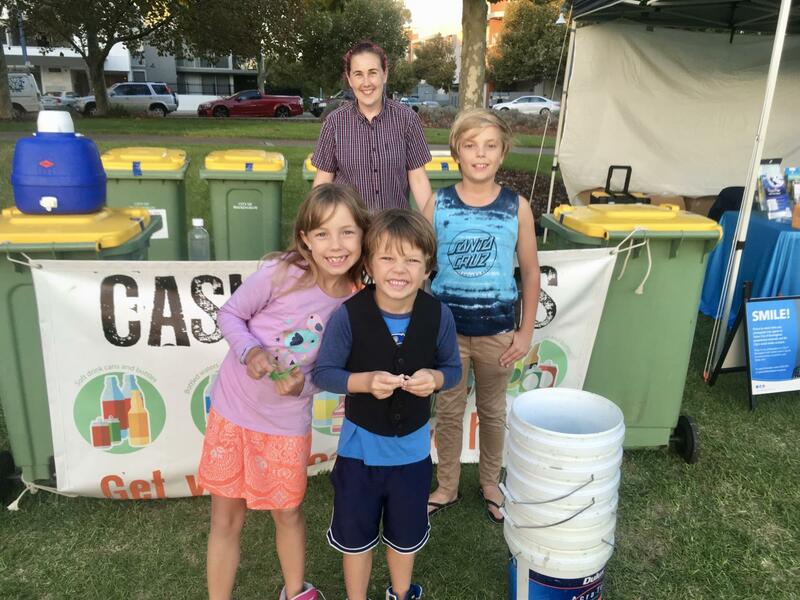 One Day in Fremantle, in keeping with it being a low waste event not too may beverage containers were collected but there was still a great effort from the kids (and adults) who collected 446 containers over the course of the afternoon. 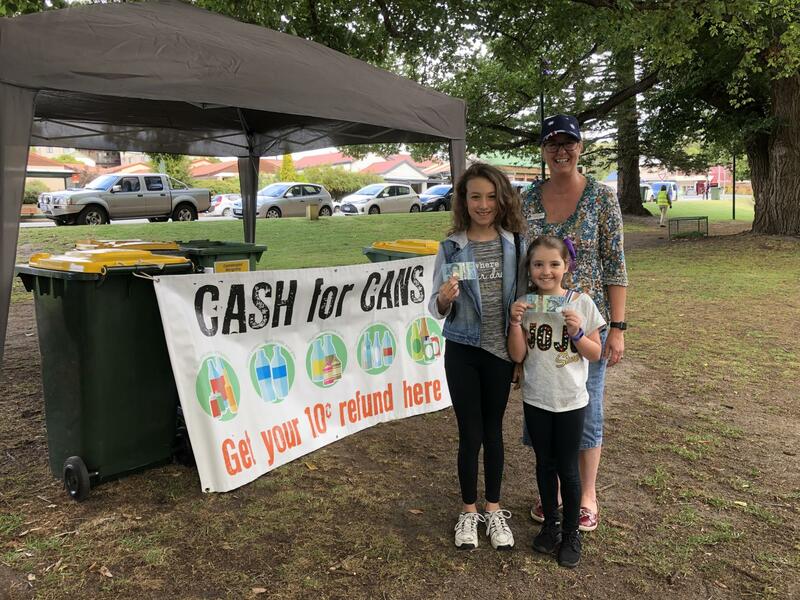 Apart from all the other attractions at the Gnowangerup Summer Fair, residents took up the opportunity to receive a 10c refund for eligible containers through the WALGA Cash for Cans stall. 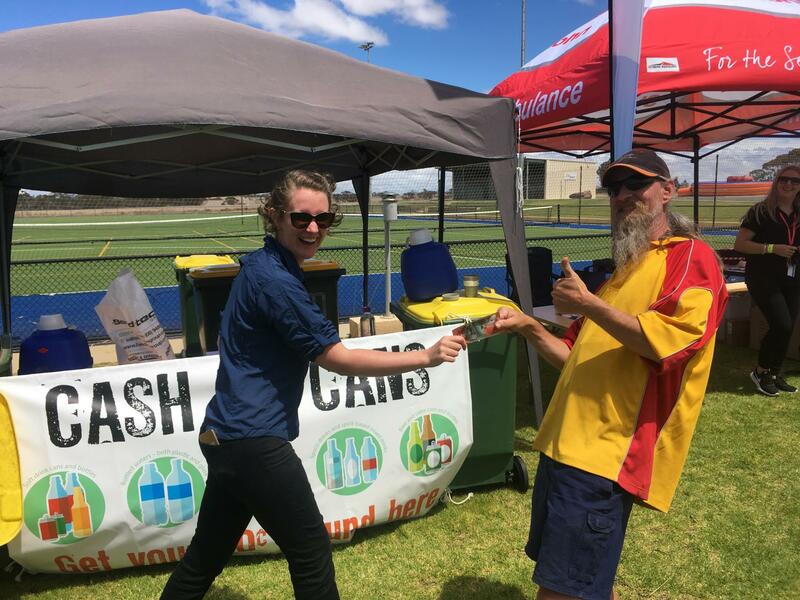 WALGA collected 1,800 containers in just 2 hours - the Gnowangerup community is ready for the Container Deposit Scheme! The best recycler of the day, Cr Jack West with 200 containers! 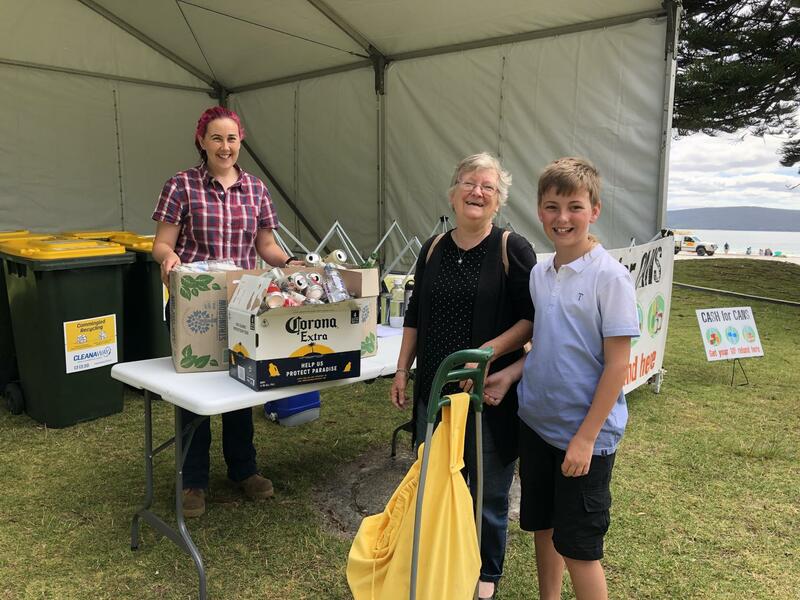 One family really got into spirit of waste avoidance by carrying their haul of cans and bottles to the event in reusable plastic buckets. 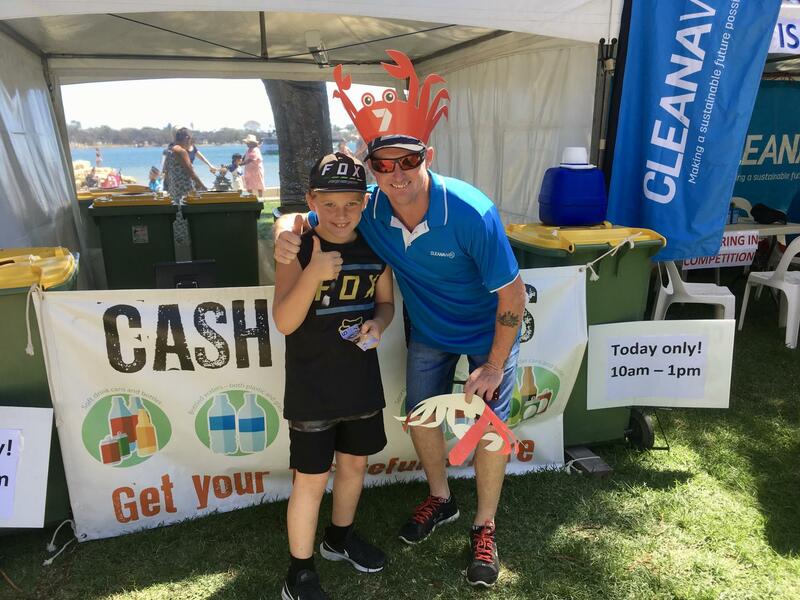 Like father, like son, Deegan’s dad who works for Cleanaway, guided him in the ways of recycling at the Mandurah Crab Festival. 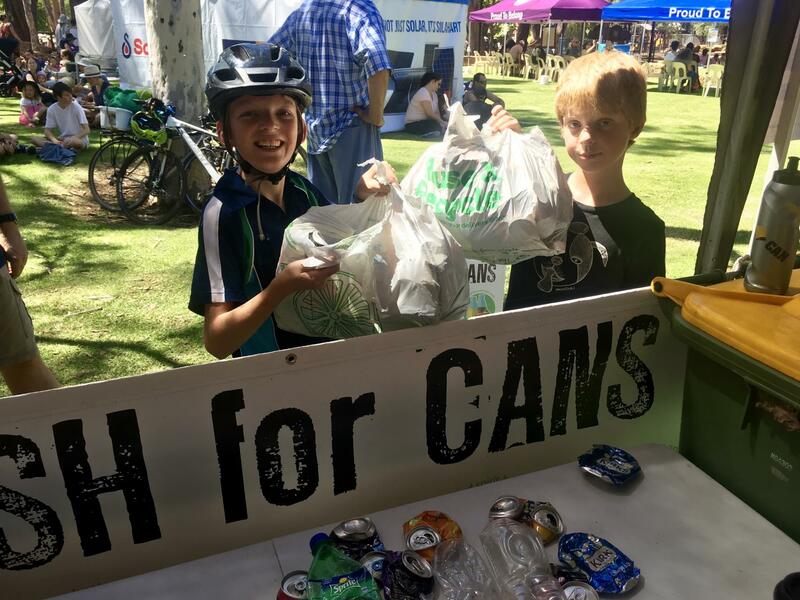 The WALGA Waste Team headed for the hills and threw up a tent at the Shire of Mundaring’s Blue Sky Festival where they met two avid recyclers, who had organised their own litter pick up and went the extra mile by cycling to the event with their containers. 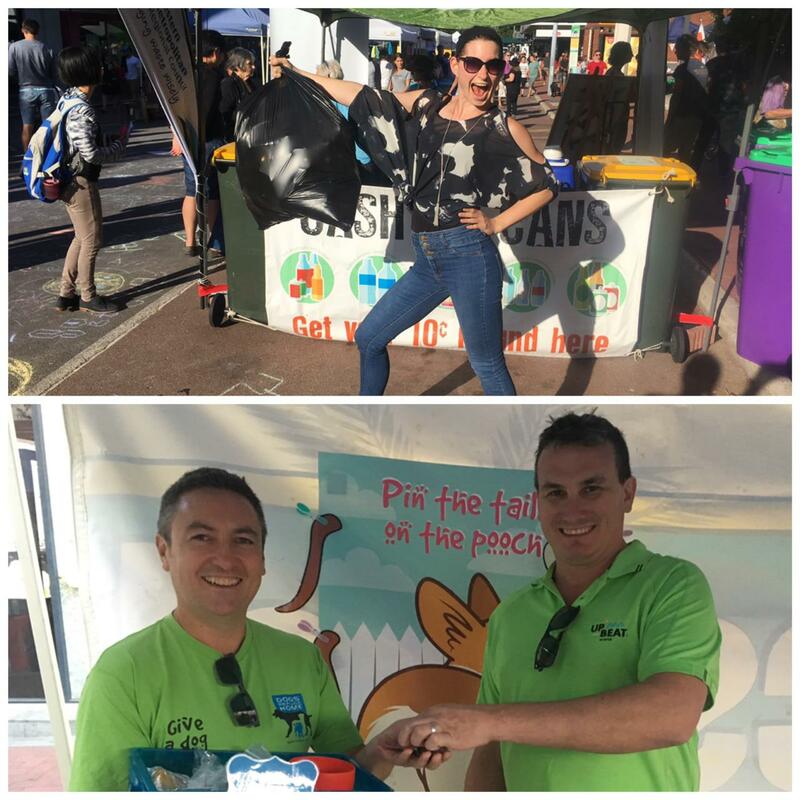 The WALGA Waste Team forayed into the western suburbs and brought CDS to the annual Subiaco Street Party. In addition to the plethora of food, drinks, arts and entertainment, attendees were able to interact with the CDS. Tim from UpBeat Events (pictured) kindly donated his CDS refund to the Dogs' Refuge Home of WA. 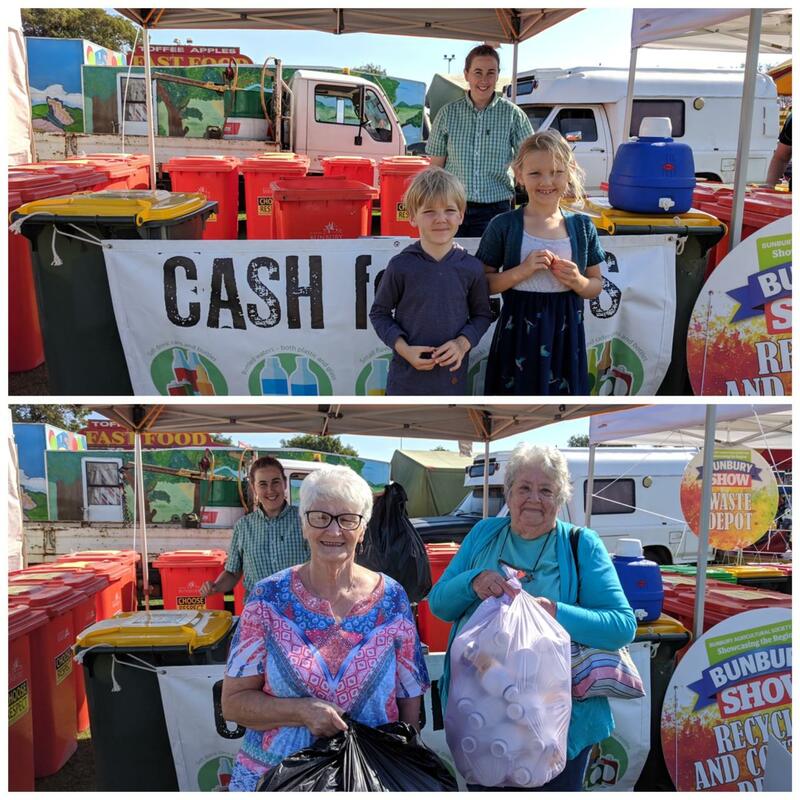 There was a hub of excitement around the CDS tent at the Bunbury Show where residents proved that recycling was for all ages.